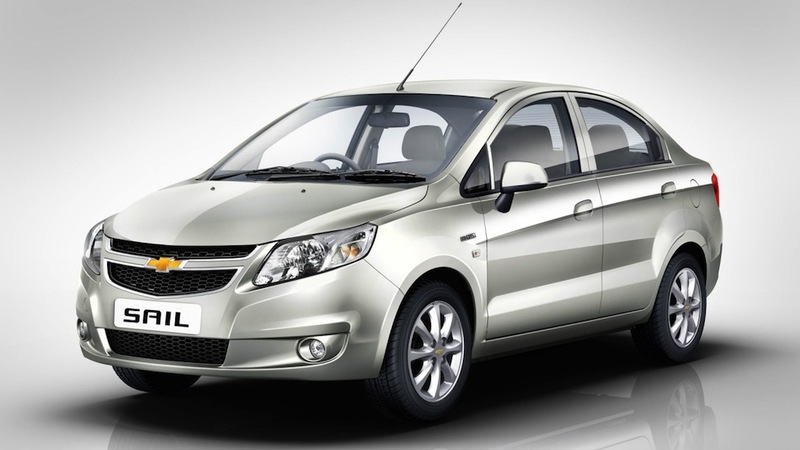 Last year, General Motors announced plans to cease selling vehicles in India. The automaker sold one of its two manufacturing facilities in the country (the GM Halol plant), while keeping the other facility (the GM Talegaon plant) open to assemble vehicles for export markets. Given that India is the world’s second-most populated country as well as the fastest-growing market for all kinds of goods, including automobiles, the move puzzled many analysts, investors, and observers alike. But GM President, Dan Ammann, recently provided a very short yet straightforward explanation for the decision. GM was notoriously not winning in India. The automaker competed in the market with its Chevrolet brand, whose lineup was pieced together using older, last-generation models from the global Chevrolet product portfolio as well as several models developed by its Chinese joint venture partners, which had no GM/Chevrolet DNA. Despite low cost being a priority in the Indian automotive market, it looks like consumers weren’t fooled with Chevy’s inadequate lineup. Indian sales of the bowtie brand fell to 3,612 units in April 2015 from 5,557 units in January 2014 – numbers that can only be described as dismal and that pale in comparison to many rivals. It’s worth noting that GM managed to burn a significant amount of bridges in India during its withdrawal, including worsening relationships dealers, the Indian government, and the local labor force. Here’s to hoping that the goal to win in the short term doesn’t leave Chevrolet and General Motors at a disadvantage in the long run. GM has not actually left India, they simply stopped selling Chevrolet vehicles. Both plants are still operating, the Halol plant selling Wuling vehicles (Wuling is a brand of SAIC-GM joint venture) and the Talegon plant producing Chevrolet vehicles and CKD kits for South America. The Halol plant was sold to SAIC Motor, GM’s joint-venture partner in China. It is now owned by MG Motors India Ltd, a SAIC Motor subsidiary. In the last week of June , SAIC had indicated its plans to enter India with the Morris Garages (MG) brand, an iconic British brand that it had acquired in 2008. They “simply” stopped selling Chevrolet vehicles? Ok, that part is true… but there’s nothing “simple” about it. The part of the operations that truly matter – the portion that brings in revenue and profits – is dead… so it’s just as good as leaving… perhaps worse (as I will explain). Currently, GM only owns the Talegeaon plant. It no longer owns the Halol plant, which was sold to SAIC (GM has no involvement or ownership at the plant). However, it seems that you’re suggesting that GM kept the Talegaon plant around because it wants to keep a foot in the door by keeping manufacturing operations in India. But if GM ever returned to India with Chevrolet, it would have a heck of a tough time doing so successfully. In stopping to sell Chevrolet vehicles in India, GM managed to destroy a significant amount of local relationships… and also tarnished the reputation of the brand. So in reality, they might as well have just left completely. No, it is the opposite of Australia. In Australia GM as all other automobile manufacturers ceased to produce cars, because the government did no longer want to subsidise a local automobile production, but continued to market and sell cars. The opposite happened in India: GM is continuing to produce cars because in India labor power is cheap, but stopped marketing them in the country. BTW, GM operated sales organsation in India as a joint venture with Shanghai GM, its Chinesese joint venture with SAIC Motor. The “Sail” pictured above is one of the products of GM’s Chinese joint ventures. Your comment re government subsidies is correct. My comment has to do with what has happened since production ceased. The other two manufacturers who ceased production, Ford and Toyota are sailing along with impressive sales figures. Unfortunately, Holden isn’t. after over two months being on sale, the Opel based VZ Commodore, is not selling in any big numbers, in fact I’ve yet to see one on the road. Ford are selling more Rangers than the whole Holden range combined. Many Holden Dealers have lost their franchise, many in small towns, getting plenty of noses out of joint. Only time will tell if the recently-installed executive director of marketing at Holden, Kristian Aquilina, can turn the PR around. I for one, hope so. »what has happened since production ceased« … and after announcing the future closure. Could the lot of negative reporting about just GM Holden terminating manufacturing in Australia have played a major role in this? As far as I know, there was not so much negative talk about Ford and Toyota ending production in Australia. This difference might have been caused by the perception of Ford and Toyota as foreign companies, of whom nobody knows where they build their products anyway, and the falsce perception of GM Holden as a national Australian company instead of being just one arm of a global US comapny. Mary Barra really screwed things up on this one. She must know it is a LONG-TERM GAME and this is why GM suffers internationally later on. Just like with Japan, they do not get the long term. It is a little short sighted. India has the potential to be 2nd biggest auto market in volume in the next 25 years. GM not being a part of it will likely prove to be a huge strategic mistake. Its a mistake when they decided to appoint an investment banker and allowed him to take decision! Automobile business is always a patience game. GM failed in India due its laid back attitude by not launching relevant products in time. You cant expect to make profit, when you take 3 years to launch product in dynamic market like India.